Funeral services for Mr. Hossie Harvey, Sr. better known as "Jack Harvey" will be held on Saturday, January 19th at 11:00 A.M. at the New Hope Baptist Church in Montezuma, GA. Mr. Harvey passed away Saturday, January 12th at the Montezuma Health and Rehabilitation Center. 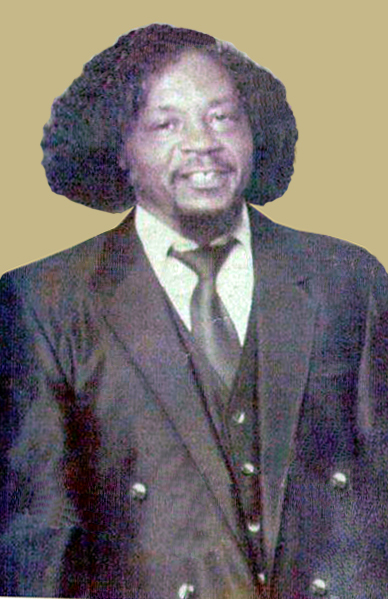 Mr. Hossie L. Harvey, Sr. was born June 1, 1938 to the parentage of the late Mr. Kato Harvey, Sr. and Mrs. Mae Ida Felton Harvey in Montezuma, Georgia. “Jack”, as he was affectionately called, grew up in Montezuma and attended Flint River Farms School. At an early age, he professed his faith in Jesus Christ and became a member of New Hope Baptist Church. He was employed at Southern Frozen Foods for a number of years. Jack was married to Ms. Geneva Smith and to this union four children were born. Later he married Ms. Ella Mae Harden who preceded him in death. On Saturday evening, January 12, 2013, Jack peacefully answered the Master’s call. Preceding him in death are his brothers Robert Phillips and Kato Harvey, Jr. Here to cherish his memory are his four children: Hossie “Man” Harvey, Jr. of East Hartford, Connecticut, Jacqueline Harvey and Dessertine Harvey of Arlington, Virginia and Tiffany Harvey of Seattle, Washington; his brother and sister, Johnny Harvey of Montezuma, Georgia and Doris Harvey of Atlanta, Georgia; sister-in-law: Pearlene B. Harvey of Montezuma, Georgia; a host of nieces, nephews, other relatives and friends. Ms. Leeshonda Hooks, daughter of Mrs. Mary Ann Hunt and Joseph Hooks, Sr. was born on September 21, 1970 in Sumter County, Georgia. She was educated in the public schools of Sumter County where she attended Sumter County Comprehensive High School. Ms. Hooks died on Thursday, January 10, 2013 at her home. She was preceded in death by a sister Ms. Yvonne Wilson Burney a great aunt, Mrs. Ruth Jackson and a brother Sammy Hardrick. She leaves to cherish her memories, her parents, Mrs. Mary Ann (Marvin) Hunt of Plains, GA, Mr. Joseph Hooks, Sr. of Columbus, GA and Ms. Louise Hooks of Atlanta, GA; two loving God-sons: Kahraccus Williams and Corterious Hicks both of Plains, GA; two loving God-daughters: Jade Williams and Akira Evans both of Plains, GA; a friend Mr. Luther Bess of Plains, GA; seven sisters: Mrs. Valisa (Pastor Derick) Mercer, Ms. Vickie Hooks and friend Antwan Thomas of Americus, GA, Mrs. Dannette Oates of Plains, GA, Mrs. Ullianee Hooks Foster and friend Joseph Chambers, Ms. Gaynell Hooks of Atlanta, GA, Mrs. Vanessa (E.J.) Thomas of Rawlings, NC and Mrs. Beverly (Patrick) Williams of Columbus, GA; six brothers: Joseph (Martha) Hooks, Jr of Plains, GA, Reginald B. Hooks and friend Ms. Bernice Mays of Panama City, FL, Anthony B. (Kim) Hardrick, Marvin Johnson, Kenya Wallace of Americus, GA and Steven L. Hardrick of Columbus, GA; aunts and uncles: Mr. John Henry (Diane) Wilson of Windsor CT, Mr. James (Annie Kate) Wilson, Ms. Beatrice Laster both of Americus, GA, Mrs. Sandra (Elder Steven) Anderson of Plains, GA, Ms. Lena Wilson and Mr. Jimmie (Mildred) Hooks of Columbus, GA; four great aunts: Ms. Bertha Paul of Americus, GA, Ms. Alice (Tab) Colwell of Newark, NJ, Ms. Naomi Mansfield of St. Petersburg, FL and Mrs. Lessie (Jake) Reese of Leslie, GA; two great uncles: Sammy Johnson of Eatonton, GA and Al Johnson of Newark, NJ; Several other relatives and friends including Ms. Biancia Bridges, Ms. Lakenya Bridges both of Plains, GA, Ms. Kyetta Hollis, Ms. Teresa Hurley both of Americus, GA Ms. Carrie Evans and Mrs. Mae Lizzie (Curtis) Evans of Plains, GA.